Can anyone explain these 2 spikes in downloads? I have no idea what's going on, it's been years at the lower levels, now this: Download spikes on two past Fridays. 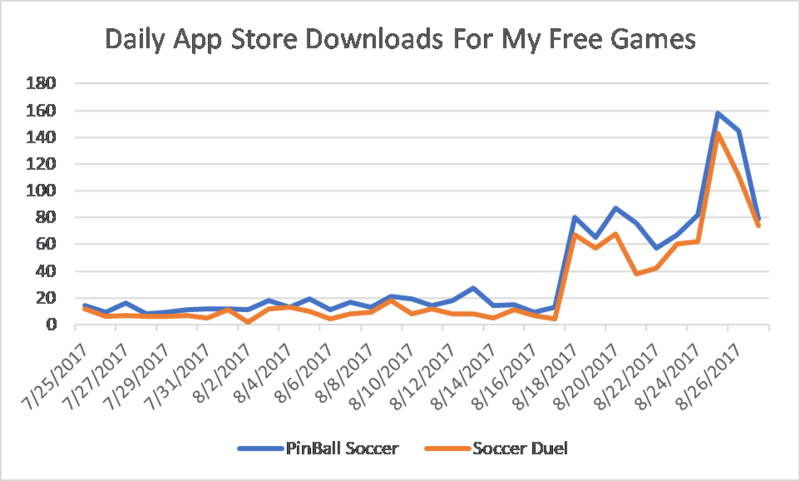 Of course in the overall scheme of things, those download numbers are like grains of sand in the ocean of App Store downloads. Still, it's fun to watch. I think first time buyers of iPhones and iPads just search for anything free to try. If you have any information, please let me know. MartinApps is a one-man operation begun by Bruce Martin in early 2011.
from the store by Apple.